The most space a Platinum Elite spa has to offer. Designed for large families, entertaining friends or those who just like to spread out and move around, the Pelican Bay offers the most space a Platinum Elite spa has to offer. 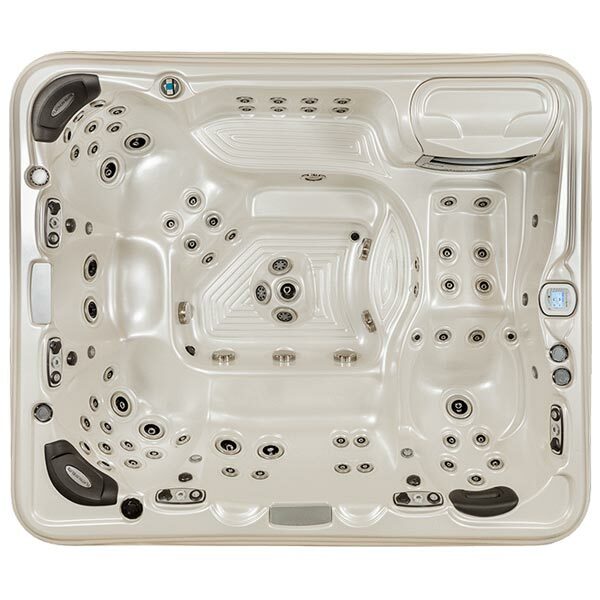 This spa features an astonishing seventy one high-performance jets and five individual controls for the massage seats. The Pelican Bay’s size does not sacrifice therapy or performance for the sake of size.